Last week in the post, Are Autism Behaviors Annoying, I mentioned a conversation which took place between me and a family member about Autism. You can read that post to see where this relative, Joan, was coming from. Joan continued from the “…annoying,” comment to telling me about an acquaintance they recently ran into. This acquaintance (someone I also know), Lacy*, has a son, TJ*, who has Autism. 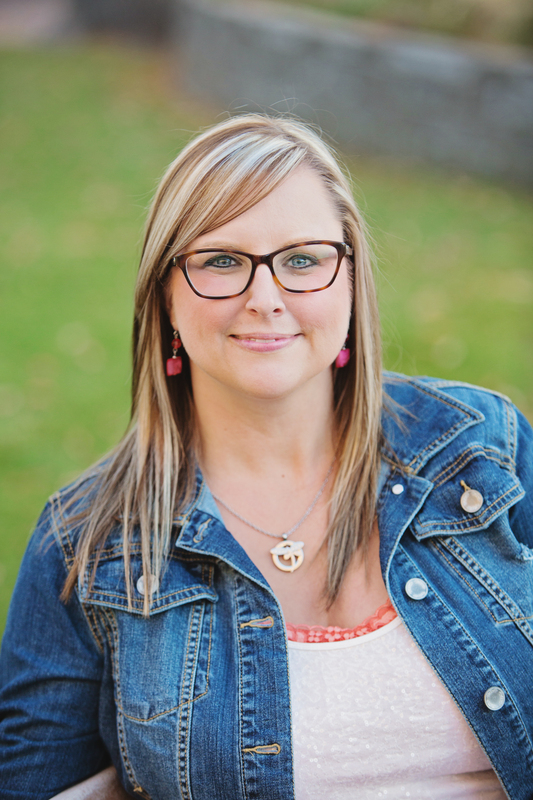 TJ’s mom, Lacy, had chosen to open a store where her son was present during business hours. Lacy cried herself to sleep every night because of the horrible comments the customers made about her son. She couldn’t handle the criticism. I understand that it’s so hard to hear comments about your child, or about Autism behaviors in general when your child is on the Spectrum. I haven’t spoken with her about it, so I don’t know if she felt she couldn’t run a business with her son present, or if the comments made her feel bad. Maybe she felt for her son and what he was going through. 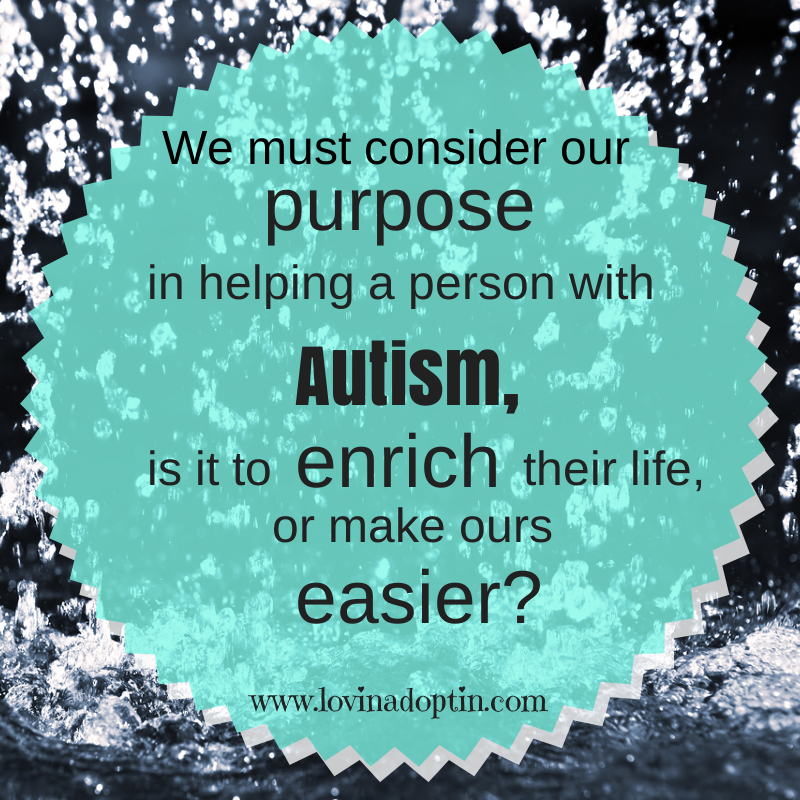 Whatever her reasons, it’s important that as Autism parents we ask ourselves where our focus lies. Is our focus in “curing” our child so we can live “normal” lives? Or is our focus to help our child be the happiest they can be? 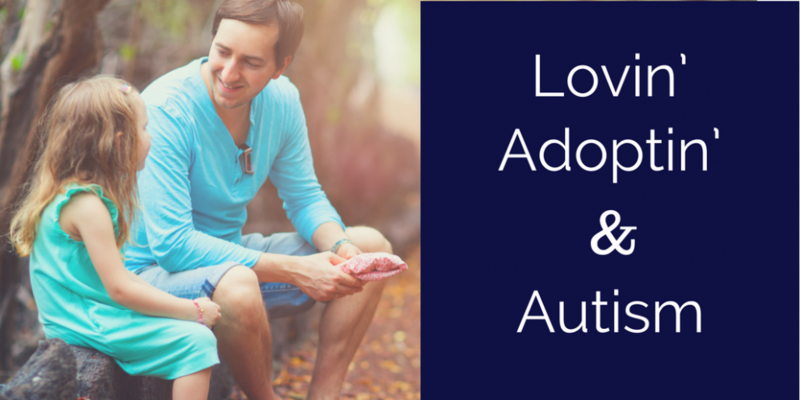 Do we want our child to have different behaviors so we can function in the way we want, or is it because we think it will be best for our child in the end. As I’ve talked to adults on the Spectrum, I’ve learned that so much of what some Autism parents want is not what the Autism person wants. Forcing them to fit in isn’t necessarily what’s best for them. I’d already heard about what Lacy had done with her son to help his Autism, so I said to Joan, “I really don’t want to ‘cure’ Jeremiah’s Autism.” She looked at me as though I was an alien who had fallen from another planet. “Why not? ?” I answered, “Well, I’ve talked to many adults with Autism, and they like who they are, they don’t want to be changed. And second, I like who Jeremiah is, I feel he’d be very different if his Autism was taken away. His Autism largely makes him who he is.” Joan disagreed and said she thought he’d have the same personality without Autism. I can see where it would be impossible for someone to see it from my perspective if they aren’t involved in the Autism community, don’t talk to others who are Autistic, and see the positive attributes of Autism. So many want Autism to go away, as I’ll discuss a little later. Joan replied, “Oh, it’s perfectly safe.” Well, that’s nice, but I added that there are those who do NOT practice safe and beneficial therapy. My point of view on Autism is changing drastically, and this is an example of where people go blindly into situations and they forget to contemplate the desires of the Autistic person. There are two schools of thought on Autism, those who want to “cure” or “fix” it, and those who don’t. Okay, maybe there are a few who fall in the middle. I was more on the side of fixing it until I began immersing myself in the Autism world by living it, studying it, and writing about it, and communicating with Autistic adults. 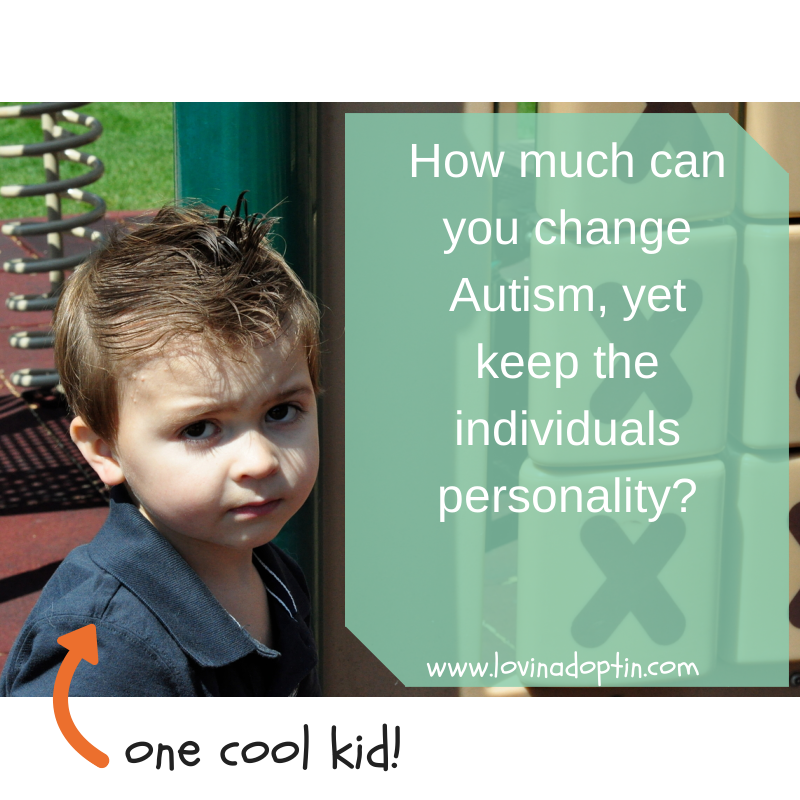 I began to see how truly unique my son is and how much his Autism affects who he is. Heck, we all have a little Autism in us. In reading and talking with adult Autistics I hear many of them don’t want their Autism “cured” and some blast groups such as Autism Speaks for their drive to “cure” Autism. They like who they are. As a result of listening to their ideas, I began to see more and more of the qualities Jeremiah possesses. I’ve also looked at the way Jeremiah has changed me, and I see how it’s drastically formed who his sister is. I feel I’m so different because of him. Yes, doing foster care changed me, but having two children with disorders and disabilities has wrecked my world, in a good way. A life changing way. My perspective of the world has changed, I have more compassion, I know that others may be dealing with underlying issues and therefore exhibit diverse behaviors. Although I have God given sensitivities, I have been made more sensitive to both of my children’s needs, beyond what would have normal for me. Maybe I’m scared to remove Autism because the child I love so dearly would be different. I don’t want to change Jeremiah, I adore him. It would be like me wanting to drastically change who someone else is, although I may not like certain aspects of who they are, it wouldn’t be fair for me to change them, and frankly I can’t. The world needs to change, and Autism is one way to do that. This entry was posted in Uncategorized and tagged ASD, Autism, Autism changes us, Autism Spectrum Condition, Autism Spectrum Disorder, Autism teaches us, Autism therapy, Autistic, curing Autism, fixing Autism, is there a cure for Autism, neurodiversity, personality, unique. Bookmark the permalink.